Finally, I got my hair done after a long wait. It was also the mark of my brown hair got bleached and coloured with a slightly less conventional colour. I just freaking loved it! Let's all just take a moment and shout EUREKA!!! 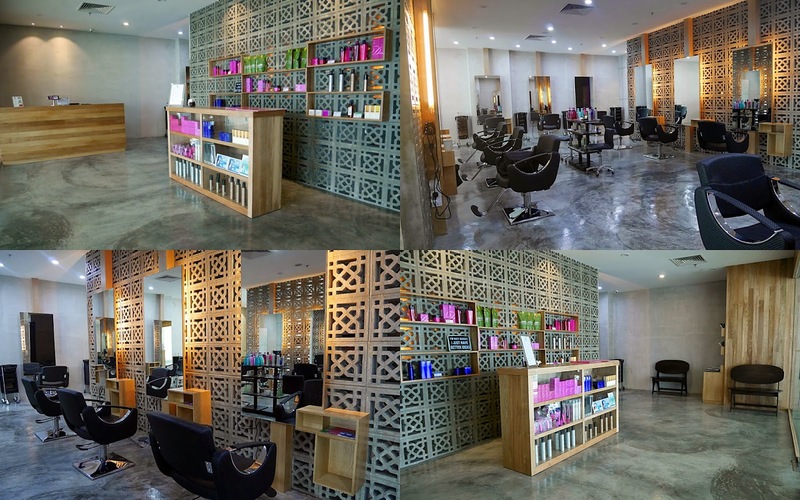 I had my hair done in Frank Salon, located at Nexus, Bangsar South. One of the awesomest place on earth because parking was free, at least so far cause the building is still considered new. According to the owner, Frankie, he said that previously his shop was based in KL and only recently moved to Nexus. The place is gorgeous, I love how minimal, clean and neat it is. My hair was really in a state of depression, it's out of shape and have no sense of what it should be. Even though I loved my hair colour, I wanted to try something different and bold. I had great results at the end but the process was a long one, I don't blame them, it was due to my hair condition. 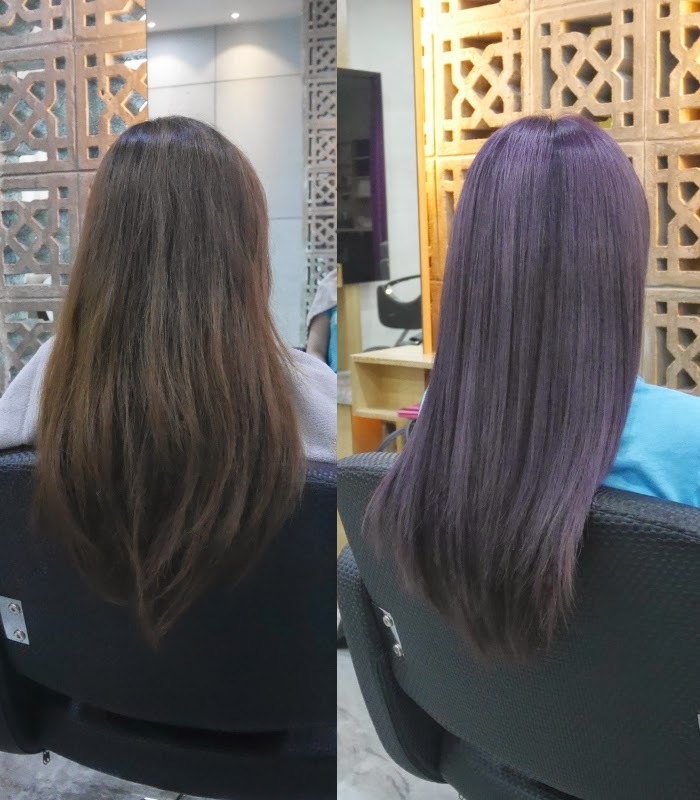 My hair was too stubborn to lose it's original colour, which ultimately forced my stylist to change his original hair colour plan. Even that, again, my hair was too stubborn to accept a new colour. 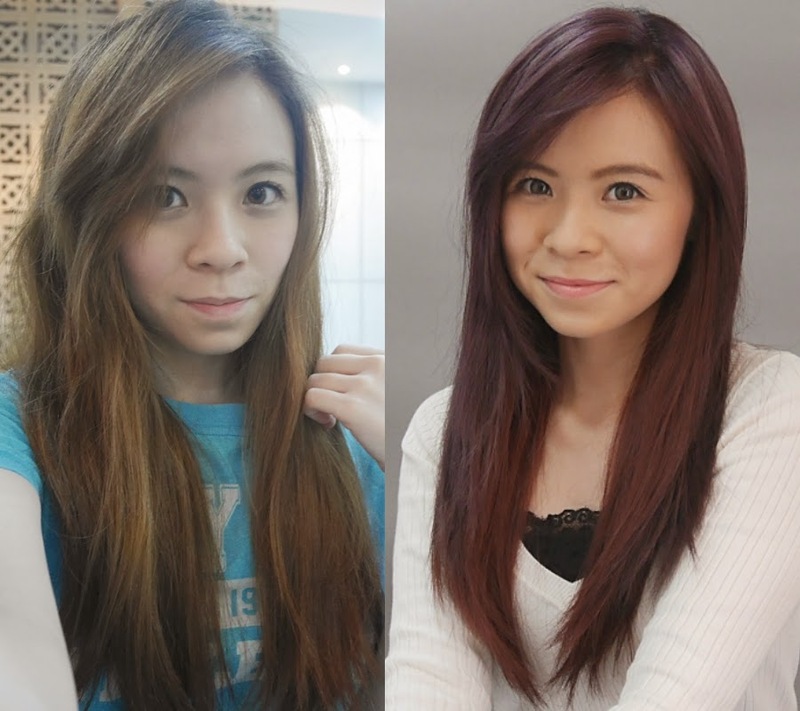 Thus, my hair ended up being bleached twice and coloured twice to get my final result. I have sensitive scalp, plus with multiple washing session, I had to inform them to be gentler with my hair. Personally, I really appreciate that Frankie and his team took their time to make sure it was nicely done because I've experience other stylist just giving up and ask you to deal with the unsuccessful first result. When it comes to colouring you hair, it's a wild card, the colour don't always turn out as think it would be. It all really depends on the person's hair. It's best to leave it to the professionals. Additionally, I love his cutting techniques, you can tell if a person knows what he is doing or just playing around with your hair. It was skilful, quick and freaking precise. Definitely a place I will recommend for cutting. I also heard their perms are pretty good too. May need to try that out soon. If you are wondering, this beautiful colour didn't last very long. I kind of lost it totally within three weeks even with good home hair care. It turns into an ashy-grey on top with light brown at the bottom. It still doesn't look too bad though, it's not patchy or uneven in colour. It looks like I've purposely dyed that faded colour. Surprisingly I'm still getting compliments for having ashy-grey hair. Lols. Isn't that a plus point. On a contrary to what other's have experienced when they bleach their hair, my hair didn't turned out spoiled or extremely, super ugly dry. It sure was drier and needs more attention but really not as dry and unhealthy as some others have encountered. In a nutshell, my long process of bleaching twice and coloured twice did not spoil my hair. I only did treatment once and the rest was just home care follow up of hair mask and oil. love your hair colour! !and great write up dear!! JQ, your hair looks fab that colour - and you really suit the light brown too. My hair's going through a really meh phase at the moment, completely out of condition and lacking shine, and I'm definitely keen to do something to it! Inspired by your pictures!